On December 14th the Federal Reserve, citing concerns about rising inflation, raised bank to bank lending rates by .25 percent. While these rates are for short term lending, they do have an impact on 30-year mortgage rates. Mortgage rates since the election have risen about .5 percent. Those 3.5 rates are now 4.1 rates and will most likely climb higher in the new year, albeit at a slower pace. The Federal Reserve expects inflation and inflation drives up interest rates -including mortgage rates. For home buyers, higher mortgage rates means they can buy less home for the same amount of dollars they could a month ago. Lenders use debt to income (DTI) ratios to calculate how much home borrowers qualify for. Lenders get a DTI by dividing a borrower's housing debt and non- housing related debt by a borrower's total income. On mortgage loans in Maine up to $424,000, a borrowers DTI cannot exceed 43 percent of income as a general rule. Rising interest rates push a borrower's DTI higher, pushing the total home price that the borrower qualifies for lower. Rates have risen a little over a half of a percent since the election. This adds about one percent to a borrower's DTI. This is an amount that can be made up relatively easily by paying down credit cards and other consumer debt if the borrower has any. Borrowers that were prequalified by a comfortable margin in DTI aspect of financing should be fine. Borrowers that were bordering on a 43 percent DTI should renew their pre-approval to make sure they still qualify for the amount they want to borrow. For home sellers, the lack of inventory and buyer demand should overcome the ill effects of rising interest rates for 2017. A roughly $60 per month payment increase on a $250,000 home with 20 percent down should not derail a purchase. The most likely to suffer will be entry level homes in the $100,000 to $150,000 rate. Those buyers tend to the most vulnerable to rate increases. They are typically first time home buyers with high DTI. Even a slight rate increase negatively impacts their purchasing ability. The least impacted will be the second home and leisure sellers. The buyers of these homes tend to be more affluent and less effected by rate increases. The same inflationary fears due to a growing economy that drive borrowing rates up tend to drive up the stock market, bond yields and savings rates. All good things for those capable of purchasing a second home. now might be the time to re-fi into a single mortgage. At prime plus two percent, current typical HELOCs will be about 5.75 percent and keep rising as the Federal Reserve continues to raise rates thru 2017. Switching to a fixed rate mortgage today, will help the wallet later. 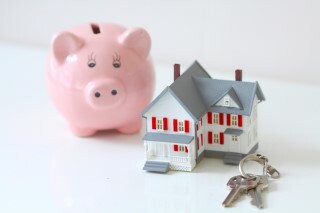 All that being said, it is time to look at current mortgage strategies. Whether you are buying, using home equity or considering selling. A changing market in interest rates means a new game plan may be appropriate. I advise meeting with a mortgage professional to create the best options possible. Rick is a realtor, real estate author, and long time Windham resident. You can reach Rick with all your real estate questions and needs at rickyost63@gmail.com.